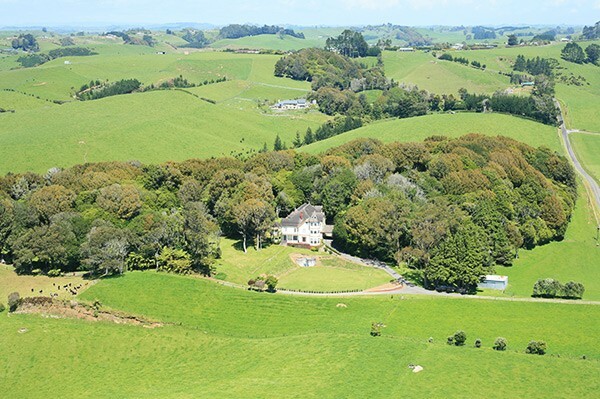 Puritawa Estate has evolved as a "labour of love" over the past 20 years. 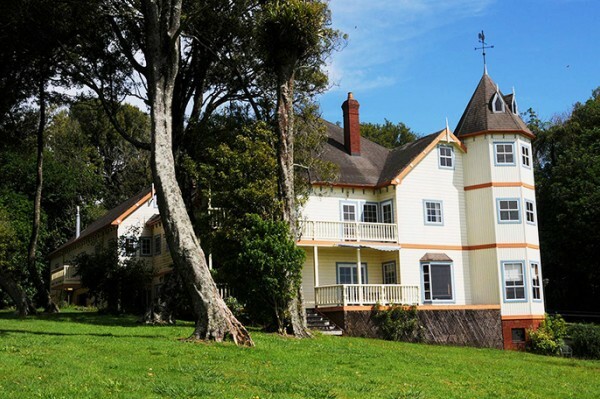 The name stems from Puriri & Tawa, the largest and most predominant trees on this spellbinding 21 acre property. 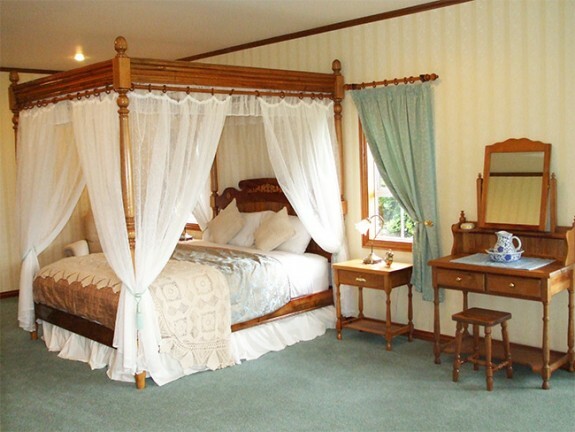 The owner has put his heart & soul into handcrafting custom built furniture and fittings throughout the sprawling estate. His attention to detail is breathtaking. 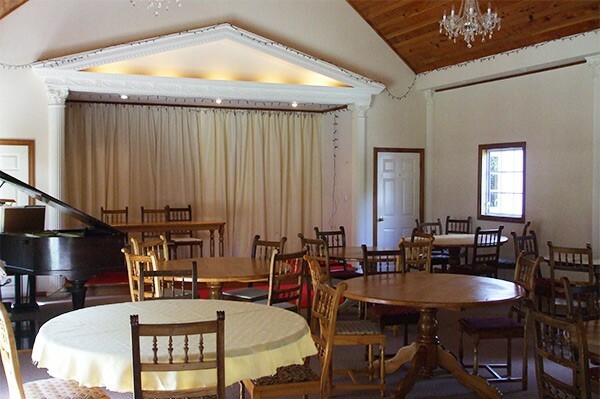 All native timber is sourced from fallen trees within the property. 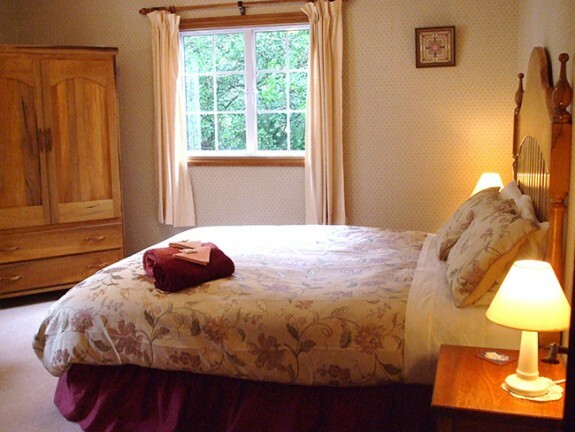 The original farm cottage on site has been relocated and carefully renovated to provide self-contained accommodation with full kitchen facilities. Your hosts pride themselves on hospitality and finishing touches that make your stay unforgettable. 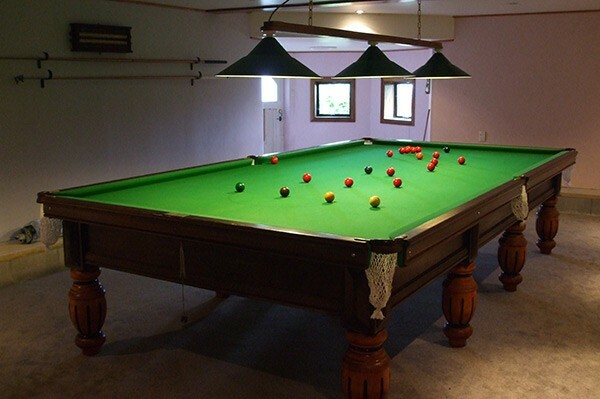 They provide a homely atmosphere in a smoke-free environment. 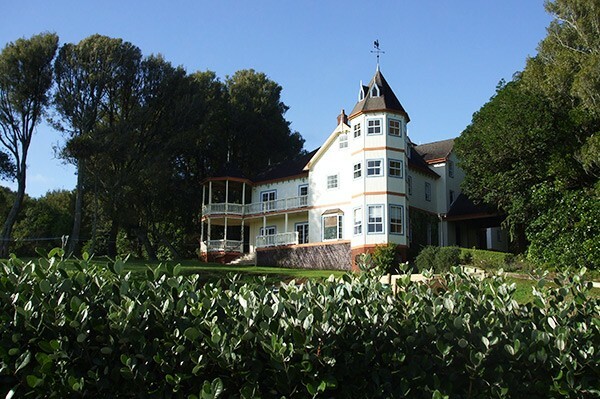 Explore meandering bush walks through 11 acres of unspoilt bush, mature native trees and ferns. Bird watching opportunities abound! "Wow, craftsmanship. Breakfast to satisfy, pleasant company and surroundings. Thank you!" Experience the charm of yesteryear. 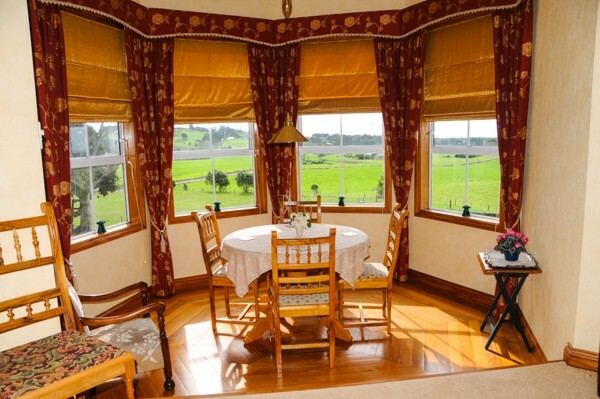 Experience the romantic, old fashioned charm of the Victorian era in stunning handcrafted rooms, complete with washstands, native timber panelling and authentic hand-turned furniture in traditional designs. 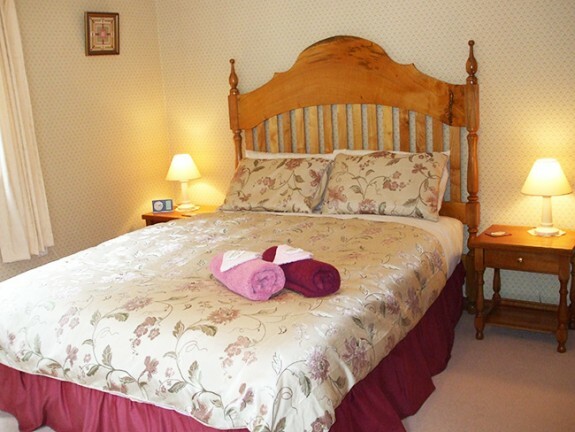 There are four plus stylish, individually decorated bedrooms arranged over two floors. 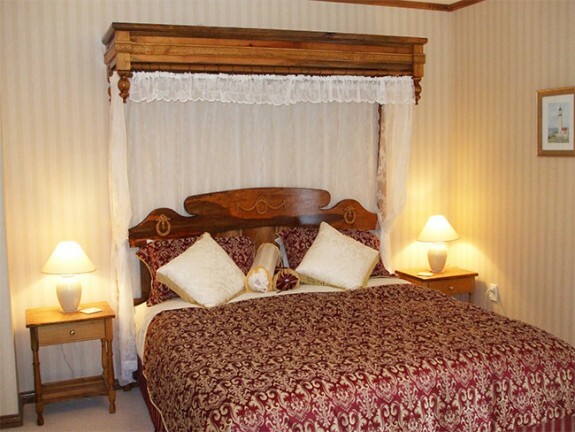 All generous sized main bedrooms boast a luxury super king bed and most have a private ensuite/bathroom. 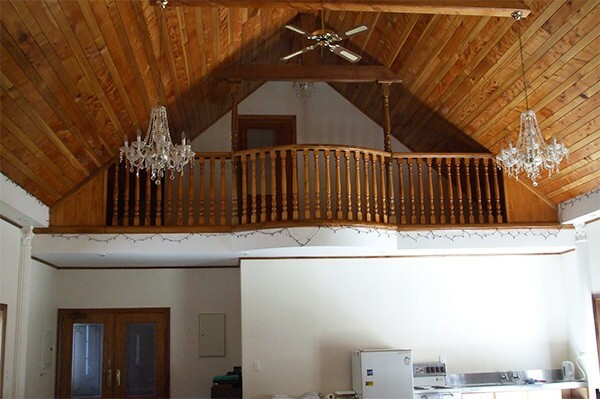 Several bedrooms have an adjoining balcony. 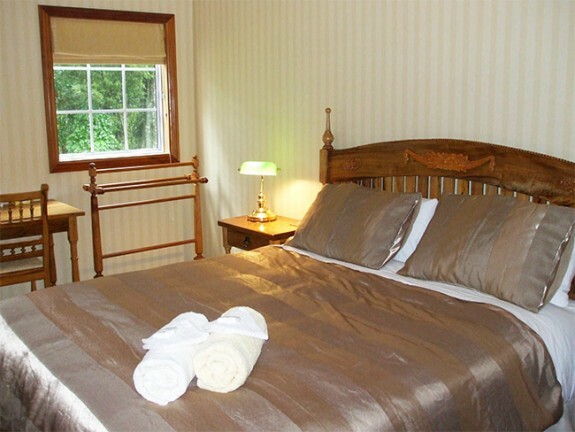 Single and twin rooms also available. 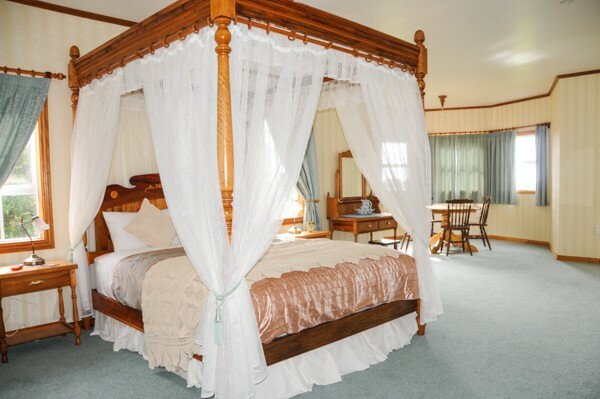 For your ultimate romantic relaxation getaway the Four Poster Suite features a double spa bath. "This place is a comfort to the body and a delight to the mind." New Plymouth is a vibrant city, with a unique natural environment. 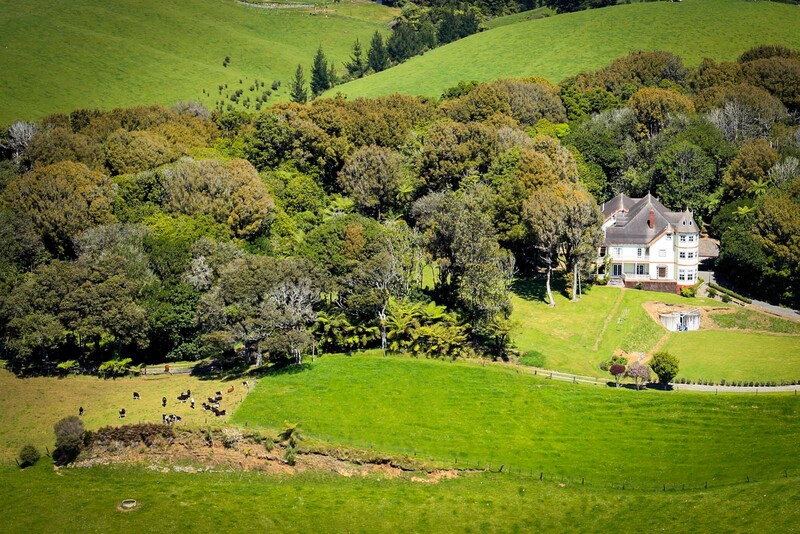 Highlighted by legendary Mount Taranaki, epic surf, and countless outdoor activities, it is easy to see why the Taranaki region prides itself on being a destination "like no other". Round the Mountain cycle race / Mountain to sea / Marathon and half marathon. "A beautiful surprise, a hidden treasure. Wonderful, wonderful house in beautiful surroundings. A very big thank you to our friendly hosts." 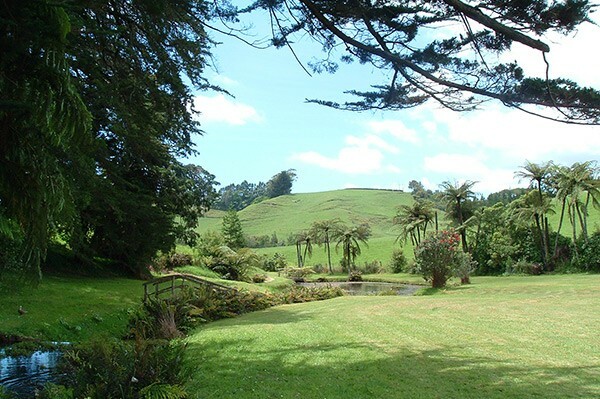 The estate contains 21 acres, of which 11 acres is pristine and undisturbed native, typical Taranaki bush. 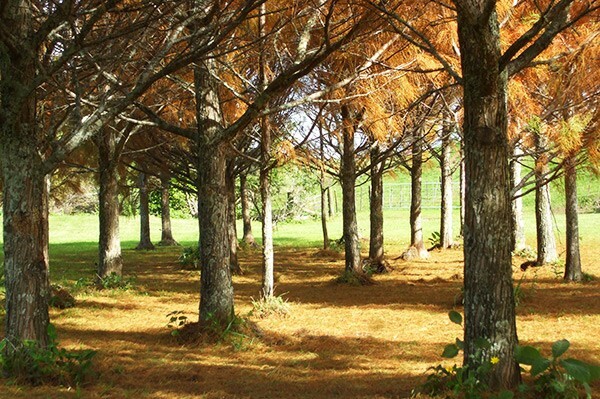 Trees identified are; Totara, Kauri (young), Kowhai, Hinau, Karo, Nikau(young), Pohutukawa, Mamaku, Puriri, Tawa, Rewarewa, Pukatea, Pigeonwood, Rimu, Kohekohe, Titoki, Whau(corktree), Matipo(Mapau), Kahikatea, Miro, Rata, Tarata, Karaka, Wineberry, Lacebark. Climbers: Clematis(wild), Supple jack, Maori jasmine, Rata, Bush lawyer, Native passionfruit, to mention a few. Undergrowth: Many seedlings of above named trees, lots of Kawakawa, various Pittosporum varieties, Five finger, Poroporo, Cabbage palm, Lancewood, Mahoe. Special plants; Lots of Fern varieties, Epiphytes , Potatoe orchid (very rare), several tree orchids. Above trees provide sometimes in abundance a great lot of food for a host of birds, natives as well as migrating birds and of course the common introduced birds. Here is a list of frequently seen Birds: Sparrows, Starlings, Blackbird, Thrush, Fantail, Waxeyes, Grey warbler, Myna, Harrier Hawks, Tui, Bellbird, Woodpigeon, Wild doves, Eastern Rosella, Shining cuckoo, Morepork, Greenfinch, Yellowhammer, Goldfinch, Chaffinch, Skylark, Dunnock, Pukeko, Mallard ducks, Paradise ducks, White faced Heron, Plovers, Magpies, Kingfisher, Swallows, Seagulls. Not so frequently seen birds; New Zealand falcon, N.Z.Parakeet (Kakariki),Canada Geese, Pheasants. 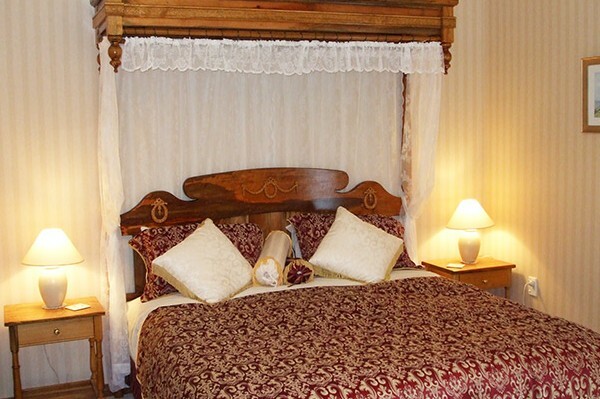 "Thank you for a wonderful stay in a fantastic spot. 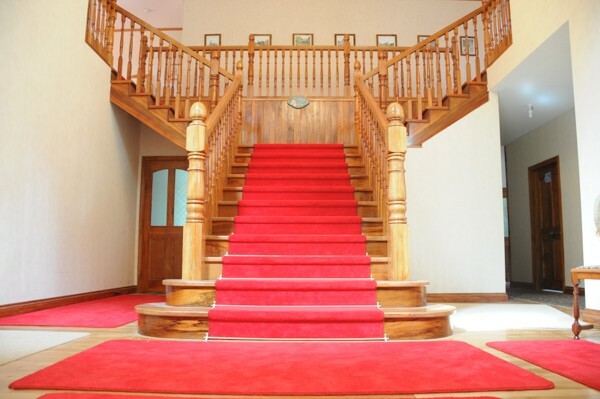 Your home and furnishings are an absolute delight!." 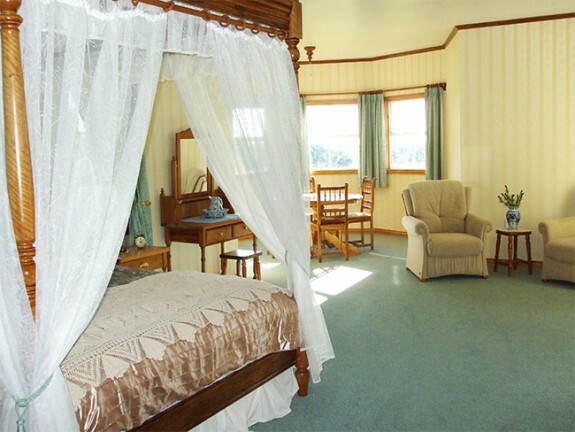 We are listed Free on www.bluecastle.co.nz an accommodation & tourism website. Wow, craftmanship. 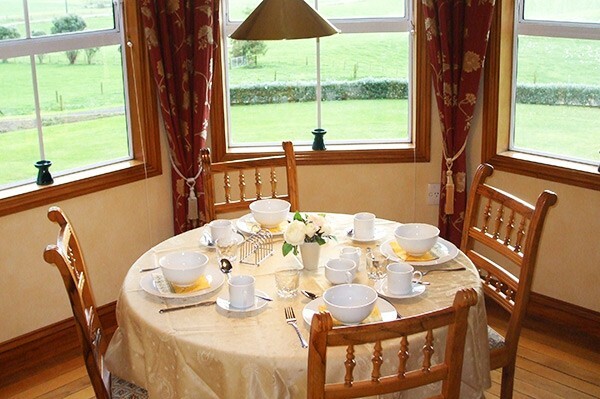 Breakfast to satisfy, pleasant company and surroundings. Thank you! We discussed everything from Einstein to Steiner, theories of life and death and more. A stimulating few days, thank you both. 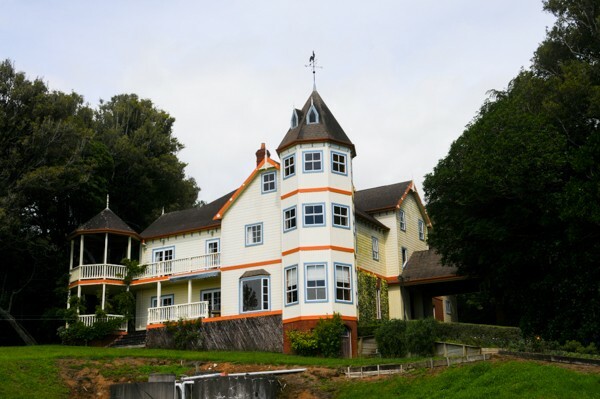 The most significant castle that I have seen in N.Z. A friendly and warm welcome and great conversations. Thank you for a wonderful stay in a fantastic spot. Your home and furnishings are an absolute delight! A beautiful surprise, a hidden treasure. Wonderful, wonderful house in beautiful surroundings. A very big thank you to our friendly hosts. This place is a comfort to the body and a delight to the mind.